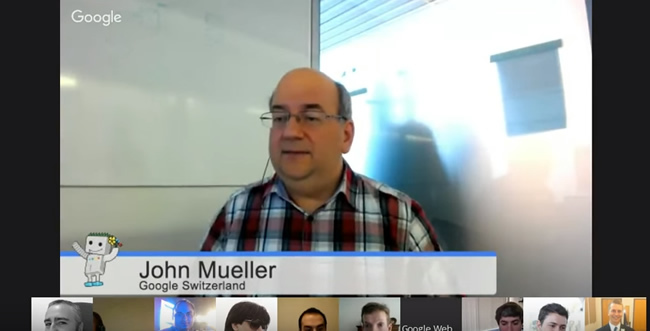 March 2016 Google Algorithm Updates – Was it Panda, More Quality Updates, or Something Else? They say March comes in like a lion and goes out like a lamb. Well for SEOs, it’s slightly different this year. 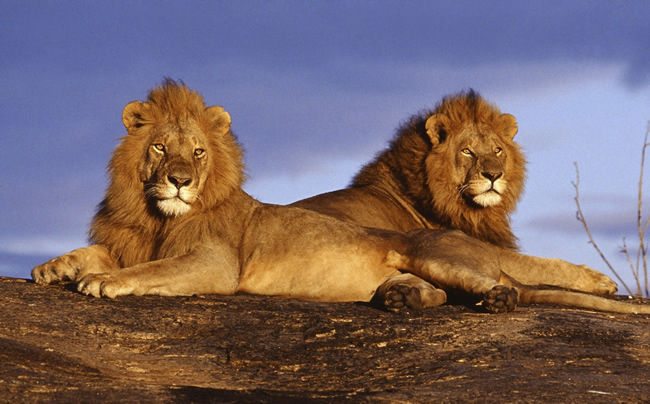 March came in like lion and went out like a bigger lion. There were three distinct dates where I saw significant movement from an algorithm update standpoint (starting on 3/3, then more on 3/14, and then another major tremor on 3/21). In this post, I’ll go through what I saw, what I think it could be, and then I provide some final recommendations for those that were impacted. Let’s go. In early March, I noticed significant movement across some of the sites I monitor. I have access to a lot of data across sites dealing with quality problems (Panda, Phantom, and other quality updates). In addition, I had several new companies reach out to me in early March explaining they were also seeing movement. And Barry Schwartz posted that webmasters were seeing similar things based on chatter he was hearing. 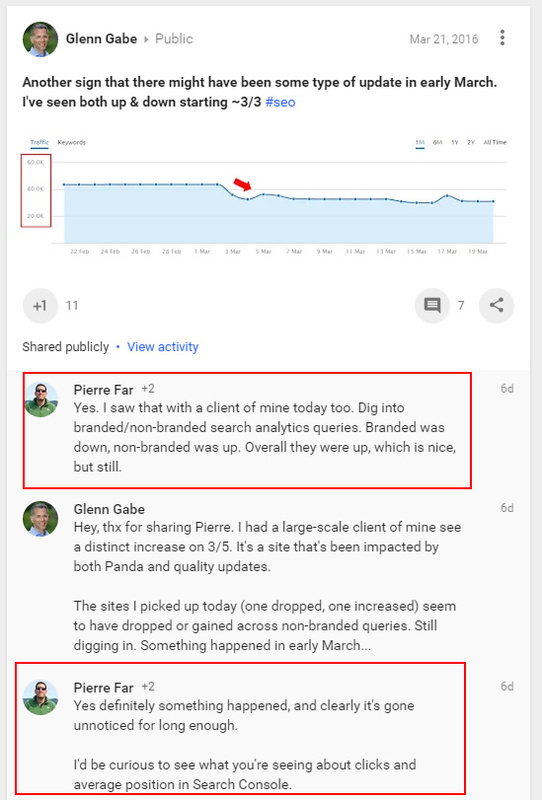 And then Pierre Far also commented that he saw movement across several sites (based on a screenshot I shared of a drop in early March). So clearly there was something going on. So I kept an eye on the situation and analyzed the movement I saw (both up and down). Then the middle of March arrived, and I saw even more movement (beginning on March 14). Again, some of the movement was on sites in my dataset, while new companies reached out to me about what they were seeing. This is similar to what I have seen with other major algorithm updates like Panda and Phantom (AKA Google’s quality updates). Google will roll out an update and then we’ll see tremors as the algo is either tweaked or it impacts more sites and urls down the line. John Mueller confirmed those types of “tremors” a long time ago when I inquired about Panda tremors I was seeing. But Google wasn’t done with the mid-March update. On March 21, I saw even more movement (and it was significant movement on some sites). Sometimes that movement was connected to the earlier updates from March while sometimes it was new to the domain. So we had three algorithm updates and/or tremors in a relatively short period of time. Panda, Quality Update, or Something Else? If you follow me on Twitter, you know I’ve been pretty tough on Panda over the past year or so. It seemed almost dead to me. But these updates very well could be Panda, based on what I’m seeing impact-wise. Note, it’s important to understand that Panda is now part of Google’s core ranking algorithm. There won’t be any more “Panda updates” like we have seen in the past. Instead, it continually rolls out. As John Mueller put it, Panda will roll out, the next update will get prepared, and then that Panda update begins. It’s continuously rolling. But the fact of the matter is that many sites previously impacted by Panda in late 2014 have not seen significant movement (outside of other algo updates). For example, some may have seen movement during Phantom 2, the November quality updates, or the January 2016 update. But, those were core ranking algo changes tied to quality, and not Panda. If you want to learn more about how Panda rolls out, watch the video below. Again, this update could be Panda. For example, there might have been a data refresh and then the next Panda began rolling out in early March. Theoretically, that could be the movement we are seeing. I cover some specifics later in this post (sites that saw positive and negative movement). Beyond Panda, the March 2016 algorithm updates could also be other core ranking algorithm changes (like Phantom 2 was). For example, Google could have changed how they assessed quality again and then rolled out the update. That’s exactly what happened with Phantom 2, which caused significant movement in the SERPs. And don’t forget, the November 2015 updates seemed connected to Phantom 2. Many that went down in May of 2015, saw more movement in November of 2015. You can read my analysis of that update to learn more. I’ll cover some of what I’m seeing across websites below. Note, the items below don’t include everything I’m seeing. I just wanted to provide some findings I surfaced during my analysis of sites that saw movement during the March updates. By the way, Gary Illyes explained Panda exactly in this manner. He said Google doesn’t view Panda as a penalty. Instead, Google simply wants to make sure the content ranking highly for a query can fulfill user expectations. He said, “we want users to find the right information (correct information) based on their query. So, we have to adjust those overly-prominent sites.” I saw rankings drop for many urls when the query wasn’t a solid match. Along the same lines, I noticed some websites that ranked very well for entities, but the articles weren’t really a perfect match for users searching just for the entity name. Those users were probably searching for core information about the entity and not an article that covers some specific situation or event. Those sites got smoked, since a large percentage of their traffic came from entity searches. And to be honest, they would have to revamp a ton of content to even come close to getting that traffic back. 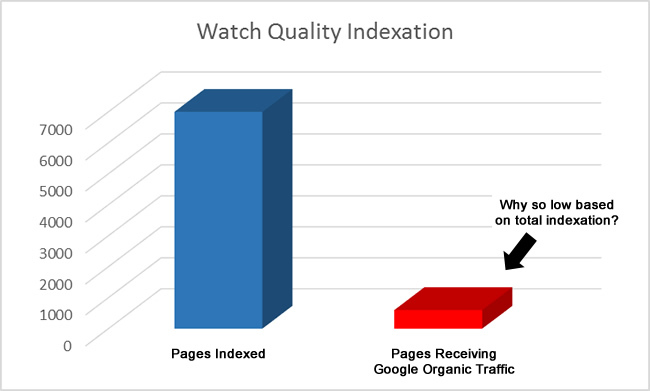 I also found sites with many pages indexed, yet only a small fraction were receiving traffic from Google. This is “old school bamboo hunting” when it comes to algorithm updates. For example, if you have 7K pages indexed, yet only 600 receive traffic from Google, what are the other 6,300 doing? Are they low quality, should they be indexed, and can you improve or nuke them? This finding also leads me to think it could be Panda. On a positive note, I saw a distinct increase on a site that has been working hard on increasing quality for a long time. The site had previously been impacted by Panda several times and some quality updates. But, the site saw a nice uptick during the early March update. It’s a large-scale website with millions of pages indexed. Over the past year, the business owner has worked extremely hard to hunt down and rectify thin content problems, usability problems, ad problems, and more. It was great to see the site increase, although I still know the site can be doing much better. Note, searches that increased directly related to entities, which matched some of what I was seeing across other sites. There were some sites that spiked that match users with licensed content they wanted to consume (legally). The user experience is excellent and the content is legally obtained and licensed. The sites I analyzed saw huge movement upwards during the March algorithm updates. For sites that use third party data on their own sites, it’s important that you do this legally. If you don’t, you could see a spike in the number of DMCA takedowns (which can also get you in trouble Google-wise from a Pirate Algorithm standpoint). But you could also be seen as a scraper, which clearly isn’t good from a quality standpoint. During the March algo updates, I saw several instances of sites that had many pages that included data that should be licensed, but they did not have the data licensed properly. Those sites tanked. I can’t say for sure if it was the licensing issue or something else, but they got hit very, very hard. You can always check Google’s transparency report for copyright removals to see how a specific domain looks DMCA-wise. It’s also worth noting that two of the sites in this category were not mobile-friendly. I don’t think that’s what caused the big drop, since others in that niche also aren’t mobile-friendly and didn’t tank. But it’s definitely worth noting. If you’ve followed my posts about algorithm updates, you’ll notice I’ve covered ad problems many times. That includes aggressive advertising, blended advertising, too many ads, etc. During the March algorithm updates, I noticed some sites in a competitive niche that employed very aggressive advertising that inhibited the user experience. Those sites got hammered by the March updates. It’s just a reminder that aggressive and annoying advertising can cause users to run screaming from your site, never to return again. Google can pick up on this in a number of ways. Avoid this at all costs. I found a huge Google quality problem for the niche mentioned above. For extremely competitive queries, there are hacked sites ranking in the top 5 that redirect users to risky sites. This has been brought up a number of times over the past six months, but I saw it first-hand during my analysis of the March algorithm updates. So Google clearly got something wrong (at least in this niche). My hope is that they fix that problem, and quickly. It’s dangerous to users. 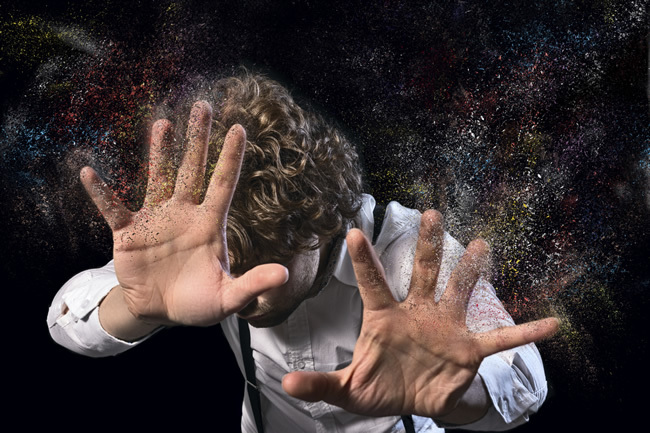 What Can Webmasters Do Now? If you have been impacted by the March algorithm updates, then I recommend reviewing the bullets below in order to gain a stronger view of the impact (either positive or negative). First, it’s important to identify the queries and landing pages that saw movement based on the algorithm update (either positive or negative). By doing so, you can gain a clearer understanding of user intent and how your content is matching that intent. You might find pages that dropped that simply don’t cut it content-wise. And on the flip-side, you might find pages that weren’t ranking that now are. Running a Panda report in Google Analytics is always a good idea when an algorithm update rolls through. It will enable you to view the top landing pages that dropped after the algo update. By digging into those pages, you can often find glaring problems (content quality, ad problems, usability problems, etc.) You can also identify pages that increased, which can also provide a view into the positive end of the algorithm update. In other words, which pages were rewarded, why, and how can you reproduce that? 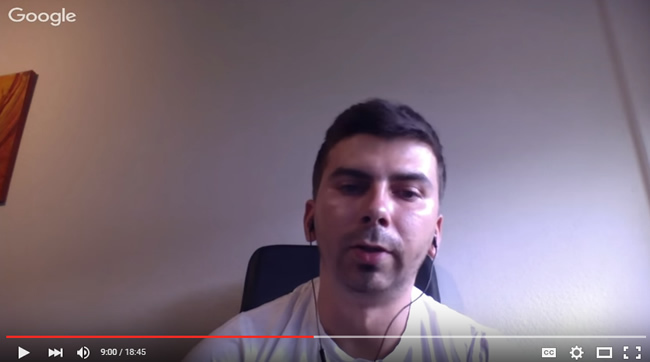 Google Search Console (GSC) is your friend. I wrote a column on Search Engine Land that explained how to find queries per url, which can also help you track which keywords dropped after the algorithm update rolled through. You can compare dates in GSC to see which queries and landing pages saw movement based on the algorithm update. And by the way, check GSC NOW, since you only have 90 days of data. If you saw negative impact in March, then make sure you analyze the situation and take action. Make changes to improve content quality, usability, the advertising experience on your site, etc. If you can improve content that isn’t cutting it quality-wise, then by all means do that! If you can’t and the content isn’t worth keeping, then 404 it. But don’t, let me repeat, don’t just sit and wait. There’s a good chance that your traffic will stay where it is (or get worse over time). March was a volatile month algorithm update-wise. There were three distinct dates I saw significant movement, starting in early March and ending in late March. I recommend checking your analytics reporting to see if you were impacted by the updates. If so, follow the recommendations I listed above for identifying what dropped or increased, why that content saw movement, and then form a plan of attack. I help a lot of companies with website redesigns or CMS migrations (from an SEO standpoint). As part of that process, it’s extremely important to download all of a website’s top landing pages so you can check them in staging and when the redesign or migration goes live. By doing so, you can test the pages to ensure they resolve correctly before you pull the trigger, and then right after you launch. Basically, you can nip serious SEO problems in the bud by crawling those urls. I also help a lot of large-scale websites with redesigns or migrations. For example, sites with 500K, 1M, or more pages that need to be downloaded, crawled, and analyzed. For situations like that, it’s not simple to export the top landing pages from Google Analytics. Unfortunately, you cannot export urls in bulk from the UI. You are limited to 5K urls per report. Then you would need to click to the next page in the pagination to retrieve the next 5K rows. That’s not efficient, to say the least. 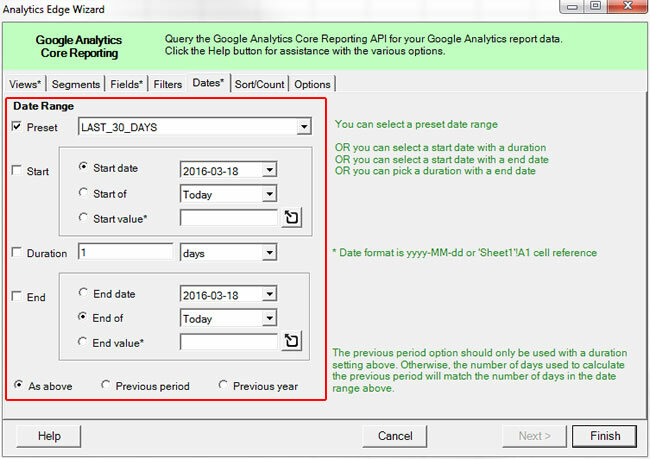 There used to be a hack in Google Analytics that let you manually set the row count in your reports via the url in your browser. I loved that feature, since it enabled me to get around the issue I mentioned above. For example, I could add rowCount%3D15000 in the url, and boom, I had a report with 15K rows of data. Well, Google Analytics removed the ability to do that and now the most you can get in one batch is five 5K rows. Sure, you can click to the second page of results and keep exporting, but that gets old quickly. Exporting up to 5K pages is fine for some smaller sites, but not if you have hundreds of thousands of pages, or more. So, wouldn’t it be great if there was some plugin or add-in that could help with this? Well, there is. Read on! 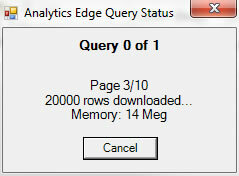 While researching options last year, I came across an Excel add-in called Analytics Edge. The add-in is packed with functionality, including the ability to export pages from Google Analytics with ease. And not just export pages, but export them in bulk! That’s exactly what I was looking for. 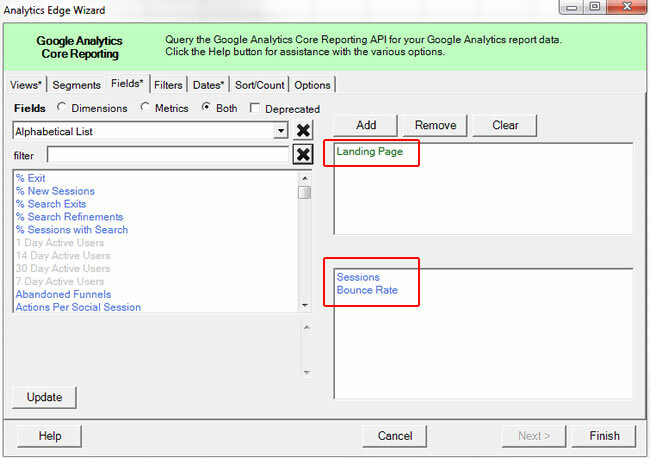 Again, the plugin can do many things for you, but I’ll just focus on exporting top landing pages from Google Analytics. If you are going through a redesign or migration, and want to export all of the top landing pages from organic search, then this could be a great solution for you. It has worked extremely well for me. 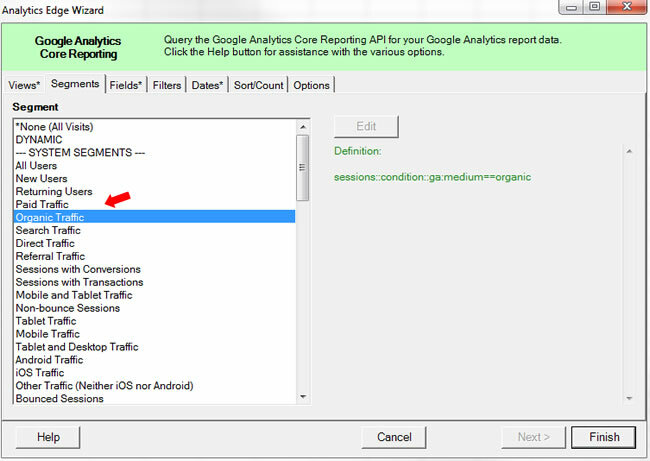 Note, there is a free version of the add-in that contains the Google Analytics connector. You can also pay more for the “Core” add-in, which gives you even more functionality. The screenshots below are from the core add-in, so you might see slightly different options with the free version. Now let’s get started. 1. 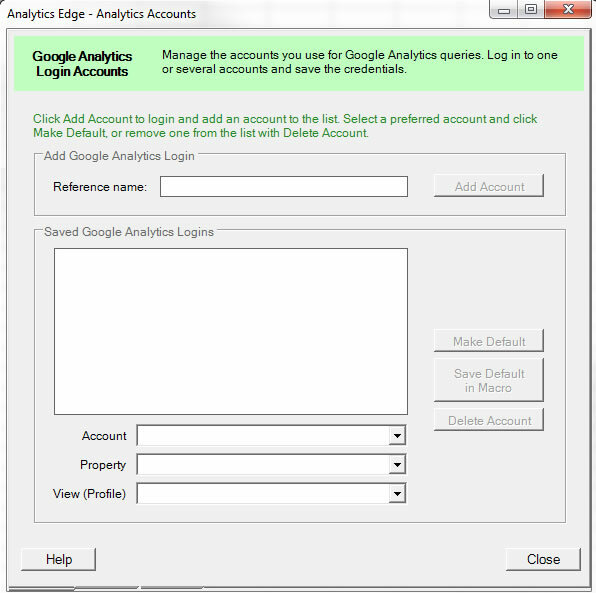 Download and install the Analytics Edge add-in for Excel. Then register the add-in to get started. 2. Click the Analytics Edge menu at the top of the worksheet to access the various options available to you. 3. Click “Free Google Analytics” in the menu and then “Accounts”. You will need to connect the add-in to your Google account so you can access various properties and views in GA. You should enter the account that’s tied to your Google Analytics properties and views. Note, you can add several Google accounts for future access, if needed. 4. 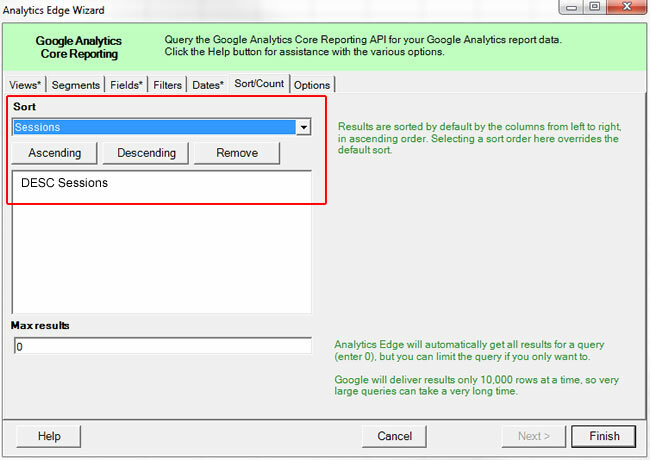 Next, click “Free Google Analytics” and then “Analytics Reporting”. A small macro box will show up, which will capture the commands you are using via the add-in. Simply name your macro to move on. 5. Here’s where the magic takes place. This is where you will choose the settings for your new report. First, select a login and then a view. The options will match the Google account(s) you entered previously. 6. Next, choose the dimensions and metrics you want to see in your report. For this example, I’ll keep it simple. We’ll choose landing pages, sessions, and bounce rate. 7. Instead of clicking finish, let’s select the Dates tab. There are some presets here like “Last 30 Days”, but you can enter a custom date as well. I’ll choose “Last 30 Days” to keep this simple. 8. If you click the “Sort” tab, you can sort by sessions (which is typically what we would want for top landing pages). 9. Last, but not least, we want organic search data for this example. So head over to the “Segments” tab and select “Organic Traffic” in the list. This will limit the data to landing pages from organic search. 10. Then click Finish. 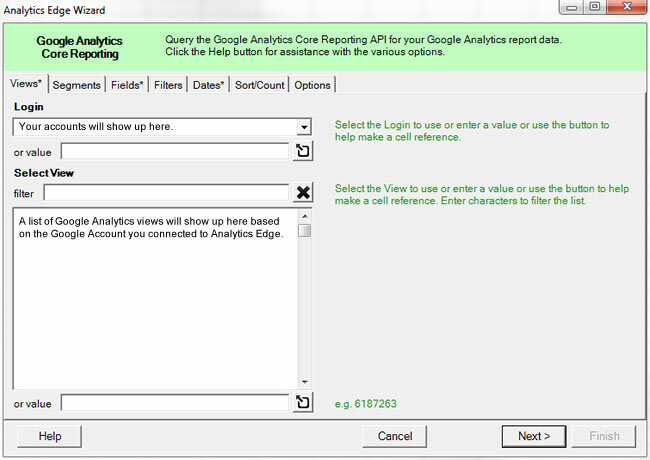 Analytics Edge will begin pulling the data from Google Analytics. Note, for larger sites, this could take a while. Be patient. You’ll notice the plugin says, “Running…” and you might see the Query Status window showing the number of rows downloaded. 11. Once completed, you’ll see a “Step Results” worksheet filled with data. You’ll also notice there are only 50 records in the sheet. This is where most people freak out and think the plugin screwed up. It didn’t. It’s simply showing you a sample of the data that was pulled. If all looks ok, then you need to write the data to a new worksheet. 12. 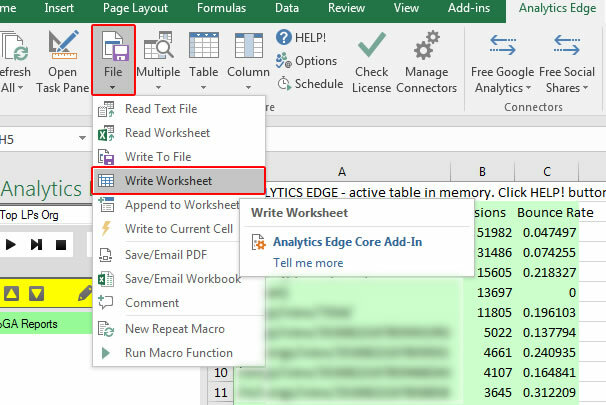 To write the data to a new worksheet, you need to click “File” in the Analytics Edge menu, and then “Write Worksheet”. You can name your new worksheet whatever you like and then click OK. Once you do, you’ll notice a new worksheet with all of your data. For the view I used, I retrieved 98K top landing pages from organic search over the past 30 days. Awesome. Bonus: The only thing left to do here is to use the concatenate function to build the full url. Once you do, you can export that list and crawl it via Screaming Frog, Deep Crawl, etc. You can read more about checking top landing pages in a recent post of mine. There are some helpful tips in that post once you have a final set of urls. For those of you that are working on large-scale sites, the process I documented above can help you export many more urls than you could via the UI in Google Analytics. By using an Excel add-in like Analytics Edge, you can export hundreds of thousands of urls, if needed (and all in one shot.) That will save you time, and your sanity. So gather your intel now. Then crawl away. It’s a great way to check urls in bulk when going through a redesign or CMS migration. Good luck.